Cleora Emily Bainbridge was born 8 November 1868, and passed away on 14 April 1870. Her father was a clergyman, and her mother, Lucy Seaman Bainbridge, was director of the Woman’s Branch of the New York City Mission Society. In 1883, her father, William Folwell Bainbridge, imagined what her life might have been like by casting her as the heroine of his novel Self-Giving, where she became a Christian missionary and died a martyr. Cleora’s brother, William Seaman Bainbridge, born 17 February 1870, became an internationally prominent surgeon and medical scientist, living a full life until 22 September 1947. 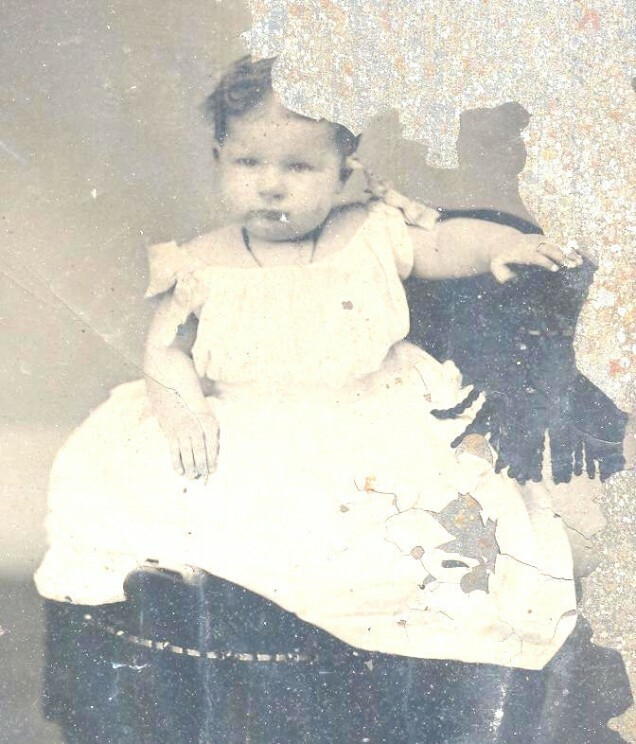 Had Cleora lived, she would have accompanied her brother and parents as they toured American Baptist missions around the world, 1879-1880, which prepared her brother for many more such voyages. He co-founded the International Committee of Military Medicine in Belgium in 1921, and two years later, he had the equivalent of an email address, Bridgebain, receiving telegrams sent to it from anywhere in the world. Long dead, a sister and brother have now returned to life inside virtual worlds, as avatars: Cleora in fantasy role-playing game EverQuest II, and William in two science fiction virtual worlds where medical science advanced to frightening levels, Fallen Earth and Tabula Rasa. 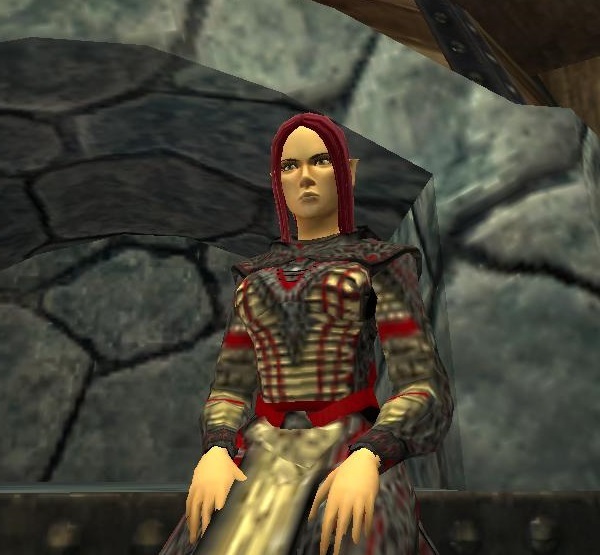 Long ago, the gods abandoned Norrath, the world of EverQuest II. The game imagines the gods as creeping back to regain their lost status as lords of all the lands; it presents a cynical view of religion. Given Cleora’s history, I cast her avatar as ambivalent about deities. Her perspective made her an excellent vantage point for research. The post-apocalyptic gameworld of Fallen Earth depicts conflict between numerous small gangs and cults in a chaotic corner of the United States, some years after the fall of civilization caused by a plague that may have resulted from unconstrained genetic engineering. Set in and around the Grand Canyon in Arizona, including simplified versions of many real locations, the game requires avatars to scavenge materials from the environment so they can craft weapons and medicines in order to survive the new Dark Ages. 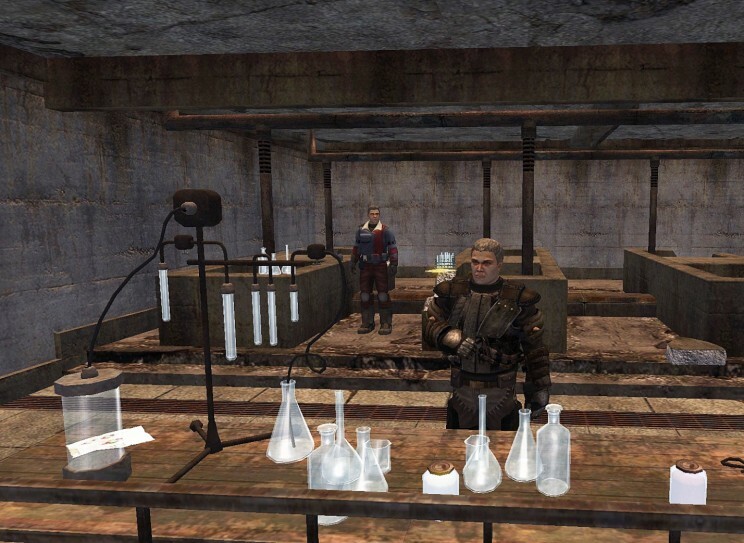 Bridgebain joined the Tech faction—scientists and engineers who believe only technology can restore civilization—and set up his headquarters in an advanced Tech base named Chemtown. 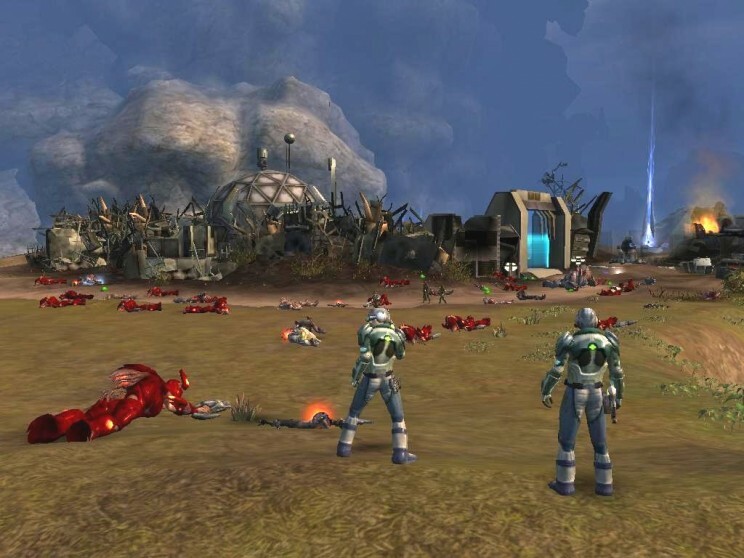 Tabula Rasa imagined that the Earth was invaded by a vicious extraterrestrial army called the Bane, but a few humans were able to escape to the planets Foreas and Arieki, where they formed alliances with the indigenous civilizations against the invaders. In addition to exploring these alien worlds and battling the Bane, Bridgebain collected Logos symbols from widely dispersed and often hidden shrines, where they were left by an ancient civilization named called the Eloh. Assembled into sentences, these Logos elements are like scientific theories or engineering designs that give the user advanced powers. Bridgebain collected all the Logos symbols, learned new medical skills like cloning himself, and eventually battled back from the stars to a point in New York City only a few blocks from Gramercy Park where the real doctor had lived. Cleora and the two Bridgebains are Ancestor Veneration Avatars (AVAs), a new way of memorializing, enjoying, and learning from deceased family members, especially for a secular society in which traditional ways of dealing emotionally with death have lost plausibility. When operating an AVA inside a virtual world, the user can draw upon personal knowledge of the dearly departed (many written records as in the case of Bridgebain), and a hopeful sense of what a life might have been like in a particular social context (as in the case of Cleora). The goal is as much to enrich the life of the user as to fulfill a duty to the deceased. Indeed, the user gains a richer sense of human life by experiencing a challenging virtual world from the perspective of another person. 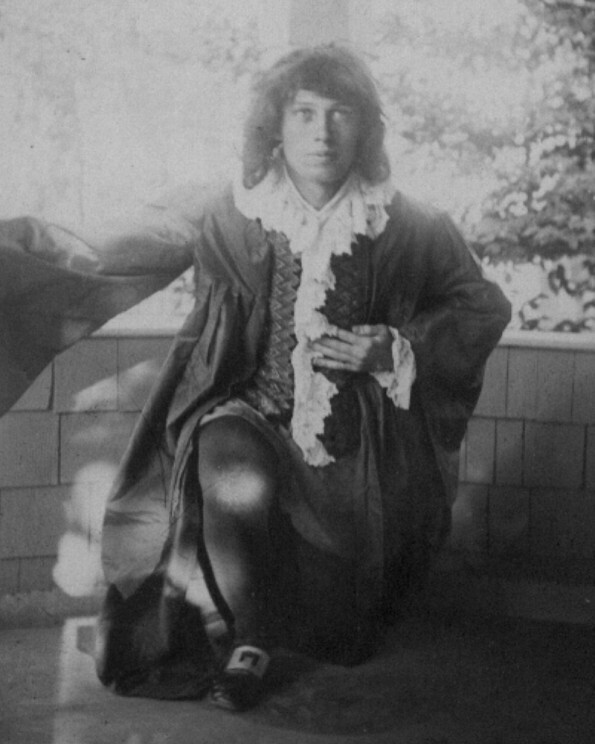 At his most idealistic and ambitious, playing the role of Columbus at festivities marking the 400th anniversary of his discovery of the New World in 1892 at the Chautauqua Institution in western New York, a remarkable educational resort founded in 1874. William Sims Bainbridge is a prolific and influential sociologist of religion, science, and popular culture. He serves as co-director of Human-Centered Computing at the National Science Foundation. 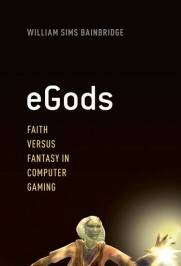 His books include eGods: Faith versus Fantasy in Computer Gaming, Leadership in Science and Technology, The Warcraft Civilization, Online Multiplayer Games, Across the Secular Abyss, and The Virtual Future. He is the grandnephew of Cleora Bainbridge and grandson of William Seaman Bainbridge.